Beautiful results are our passion. We want you feeling and looking refreshed, not injected. 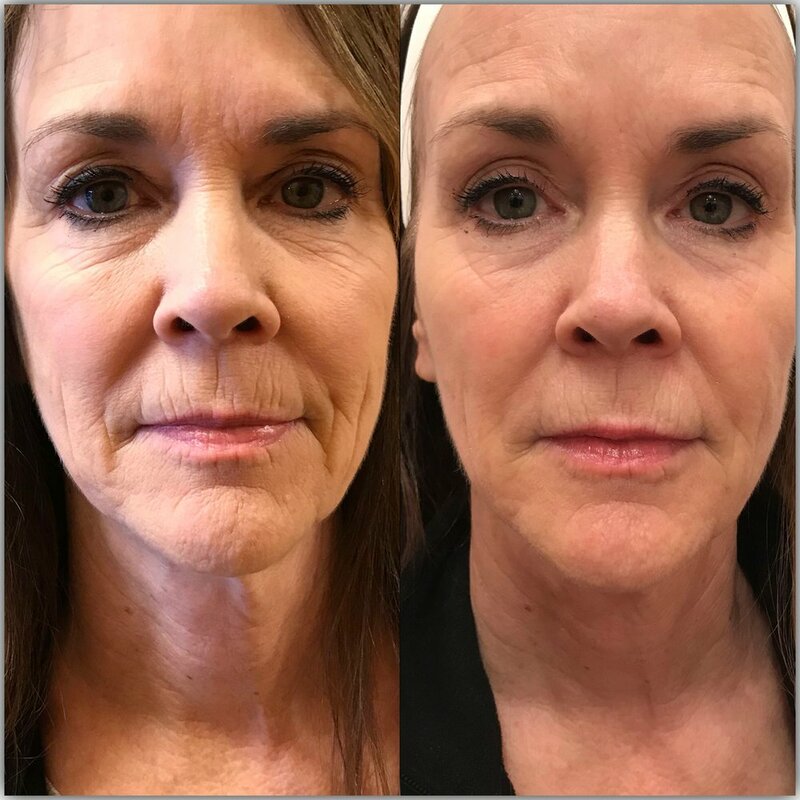 Dermal fillers are a cosmetic injectable that helps add volume to certain areas of the skin in order to create a youthful, flawless appearance. We carry many different brands of cosmetic dermal fillers that are able to give you fresh, rejuvenated results. They can be used in conjunction with BOTOX or on their own to provide the beautiful results you desire. We carry a full line of fillers offering you a wide range of choices that your Aesthetics Nurse at EYA will help you make. Dermal filler treatments work by using a hyaluronic acid gel-based injection in order to boost your skin’s volume while providing a naturally appearing and rejuvenated look. With time, the filler safely dissolves and is metabolized by the body. Dermal fillers give INSTANT results and can last between 6-24 months. No downtime is required after treatment. Everyone’s skin is different, which is why we provide you with a free consultation with one of our exceptional Registered Nurses prior to your dermal filler treatment. Your dermal filler treatment is personalized based on your skin care goals and exclusively performed by medical professional specialists in order to give you a customized treatment with flawless results. Click below to set up your free consultation.